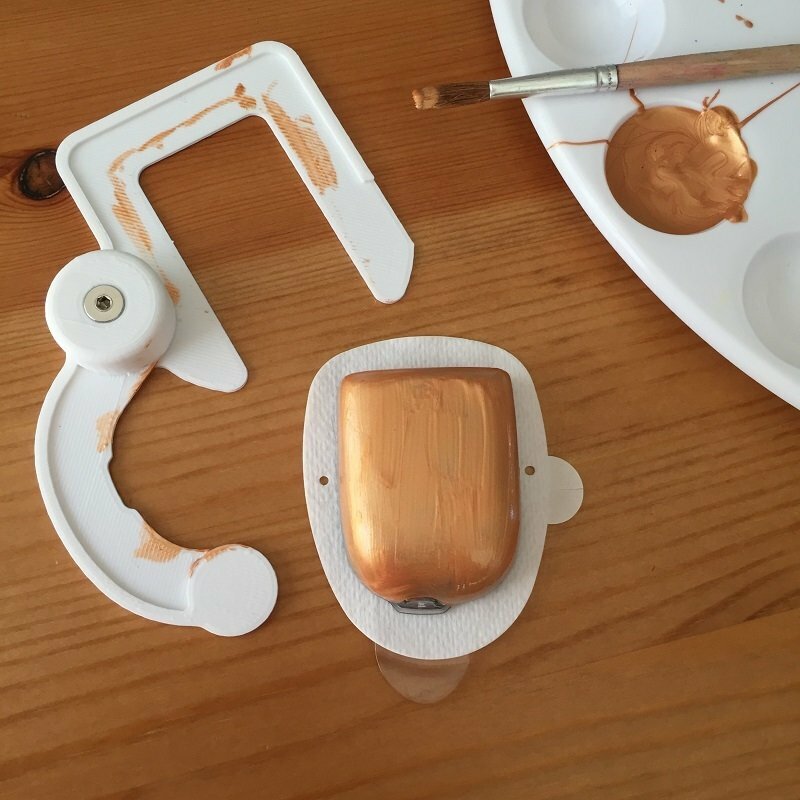 This is the Cover’n’Color, the OmniPod easily slides in to the Cover’n’Color to hold, protect and mask the white adhesive tape backing during paint, marker or other art medium decoration. The chunky Knob provides a place for kids to grab, pivot and pick up during creative pod beautification sessions. Wash with soap and water, reuse over and over. It's 3D printed in white eco-friendly thermoplastic, Has a prototype texture.